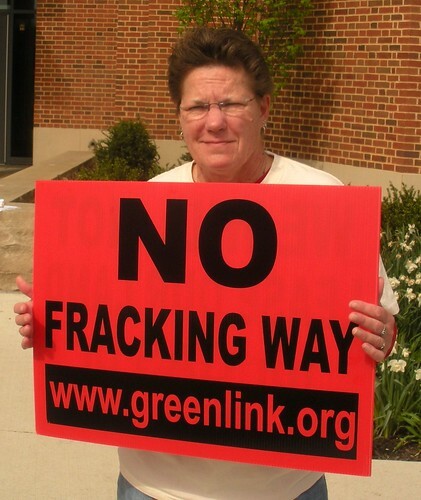 The horrific effects of fracking continue to grow with doctors in Pennsylvania now caught up in the web of deceit. Hydraulic fracturing technology, known as fracking, explodes millions of gallons of toxic chemical solutions deep into the ground in order to free natural gas deposits for drilling companies to exploit for massive profit. Over 5,000 drilling wells have been blasted across the state of Pennsylvania alone, with more added each and every week. These toxic chemicals being pumped into the ground are making people in relative proximity to the wells sick – very, very sick – even at low levels of exposure. Over 85% of the 750 chemicals used in fracking are known carcinogens! While Pennsylvania law requires drilling companies to inform local doctors what chemicals are being used so that they can properly treat the victims of exposure, it also now requires doctors who are briefed to sign a confidentiality agreement to keep them from telling anyone about what exactly is making these people sick. This includes informing their own patients as well as other healthcare professionals! Similar fracking laws are already on the books in Ohio, Texas, and Colorado. Shockingly, it appears that State authorities have completely rolled over on this issue and have prioritized the “proprietary secrets” of the drilling companies ahead of the needs of public health. Despite its so called dedication to green technologies and businesses, Federal authorities have also shown no desire to reign in this horrifically damaging technology which is akin to strip mining of decades past. Why can’t the Obama administration simply require the disclosure of exactly what is being pumped into the ground to dislodge natural gas deposits? No doubt if such a move were made, the public outrage and outcry would result in the swift cessation of fracking across the nation. And those hefty campaign contributions from fracking executives and their operatives would come to a screeching halt.